“Come, darling, the train will be here any moment now.” Ridley stood, rigid and tall, his rough bottle-green woollen jacket failing to disguise his reddening neck. Hovering by the platform entrance, Cynthia’s hands felt cold as she clutched her handbag; the carved edges of the ivory handle digging into her palms. She liked the tingling sensation for it served as a reminder to remain focussed. Catching the eye of the station master, Cynthia felt Ridley’s eyes boring into her. She held her breath. Could he read her thoughts? Cynthia felt a sudden urge to emit a whimper and feign collapsing. She’d surely be attended to by station workers and her fitness for travel would be called into question. Would he go without her? 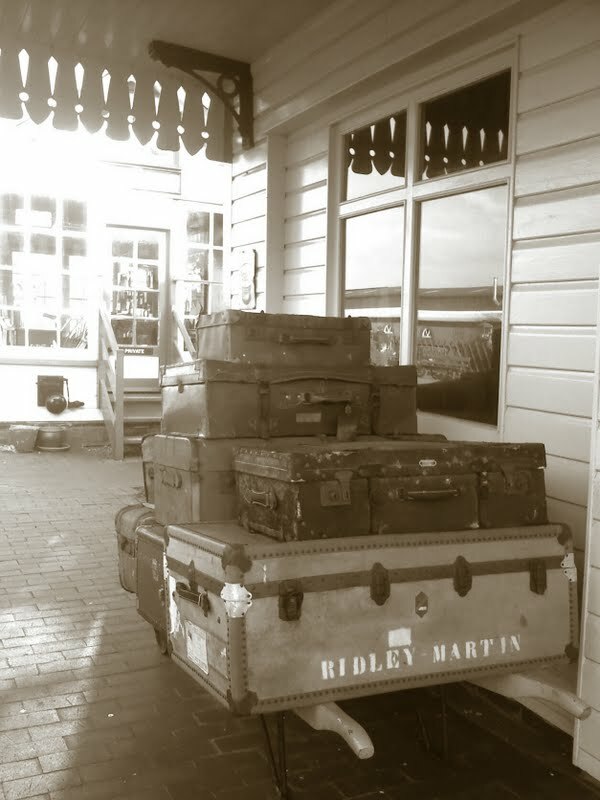 The burly porter heaved the last of the suitcases onto the barrow with a sigh. Ridley’s was the biggest on there; his name boldly imprinted across the battered brown leather in garish white lettering. Her clothing was also within that cumbersome case. “You’ll not be sorting your own affairs, for I know what is best,” he’d told her when she’d tried to asked for her own. She was, however, content in the knowledge that even he could not take her royal blue purse with its ivory handle, for it had been his mother’s. In it she kept her most precious things; a hair brush, a mirror and a hat pin. Not that she owned any hats. The porter tipped his handsome cap at her and, feeling an overwhelming surge of kindness cross the cool air between them, she dared to smile warmly at him. Out of the corner of her eye, she could see Ridley readying his stance for an angry approach. “Everything in order, milady?” Cynthia couldn’t muster the strength to speak, so powerful was the fear mounting within her. She found herself nodding complacently. Off he went and Cynthia, furious with herself, reluctantly moved to Ridley’s side.